At SFMOMA from March 9th through June 2nd, an exhibition on the photographer Garry Winogrand, a great American street photographer. 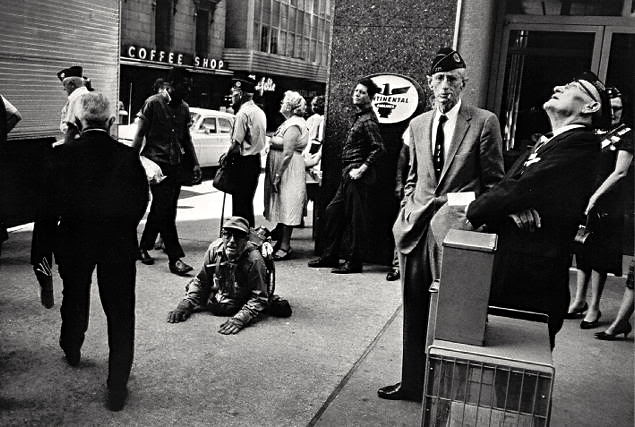 Garry Winogrand (14 January 1928, New York City – 19 March 1984, Tijuana, Mexico) was a street photographer known for his portrayal of America in the mid-20th century. John Szarkowski called him the central photographer of his generation. 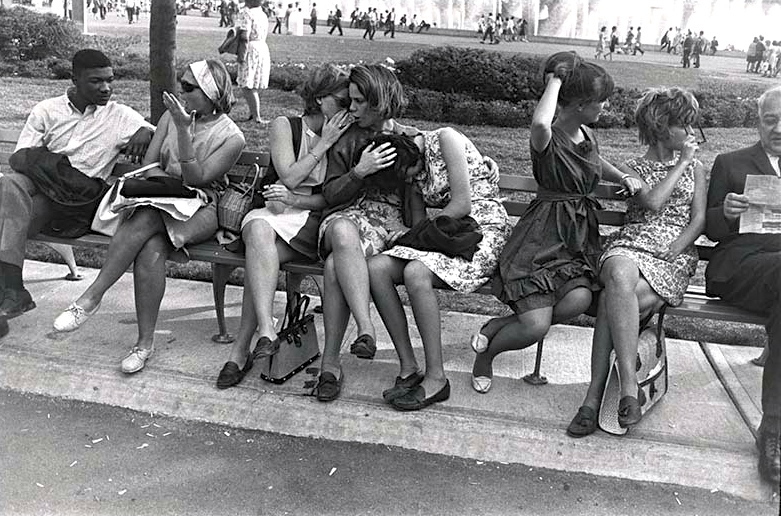 Winogrand was influenced by Walker Evans and Robert Frank and their respective publications American Photographs and The Americans. Henri Cartier-Bresson was another influence although stylistically different. 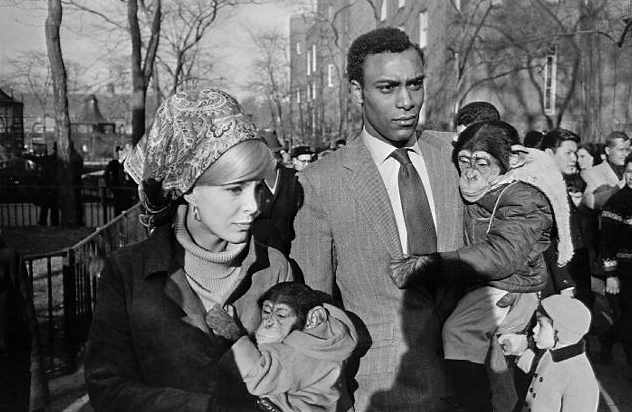 Winogrand was known for his portrayal of American life in the early 1960s. Many of his photographs depict the social issues of his time and in the role of media in shaping attitudes. He roamed the streets of New York with his 35mm Leica camera rapidly taking photographs using a prefocused wide angle lens. His pictures frequently appeared as if they were driven by the energy of the events he was witnessing. 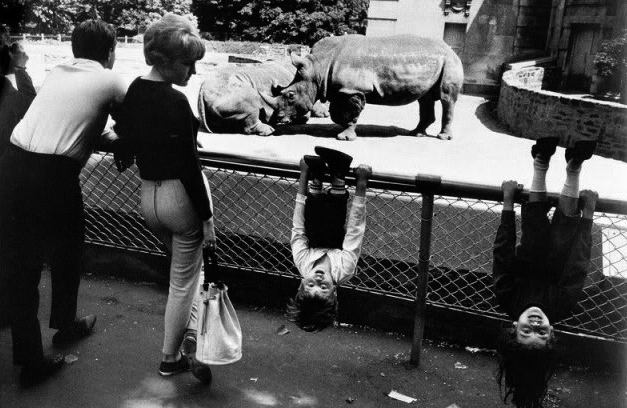 Winogrand’s photographs of the Bronx Zoo and the Coney Island Aquarium made up his first book The Animals (1969), a collection of pictures that observes the connections between humans and animals. His book Public Relations (1977) shows press conferences with deer-in-the-headlight writers and politicians, protesters beaten by cops, and museum parties frequented by the self-satisfied cultural glitterati. These photographs capture the evolution of a uniquely 20th and 21st century phenomenon, the event created to be documented. 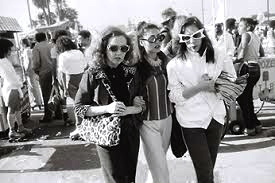 In Stock Photographs (1980), Winogrand published his views of the Fort Worth Fat Stock Show and Rodeo. When he died suddenly at age 56, Winogrand left behind thousands of rolls of exposed but undeveloped film and unedited contact sheets — some 250,000 frames in total. Nearly 100 of these pictures have been printed for the first time for this long-awaited retrospective of his work. 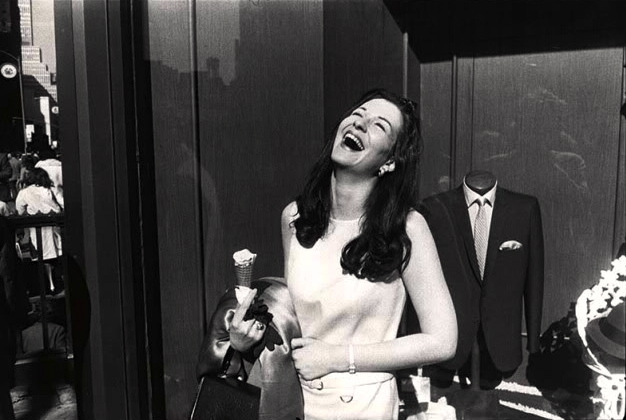 By presenting such archival discoveries alongside celebrated pictures, Garry Winogrand reframes a career that was, like the artist’s America, both epic and unresolved. This exhibition has been jointly organized by SFMOMA and the National Gallery of Art in Washington, and will travel to the Metropolitan Museum of Art in New York, Jeu de Paume in Paris, and Fundación MAPFRE in Madrid. This entry was posted on April 16, 2013 at 9:15 am and is filed under Art, Photography. You can follow any responses to this entry through the RSS 2.0 feed. You can leave a response, or trackback from your own site.